I was flipping through a newspaper at the weekend when there was a mention of the new Lars Kepler book (The Sandman) , needless to say I went googling immediately! If you have read my previous posts, if I find a series/author I like, I tend to want to get ALL the books, yesterday!!! Back in 2012, I joined Cold Water Book Club on Twitter, and The Hypnotist was one of the books we read! 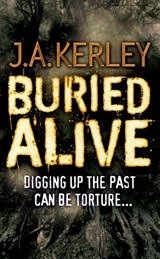 I wasn’t gripped by the book, but I didn’t dislike it, so when I saw the snippet in the paper I decided now was as good as any to go back to the Lars Kepler books! Stockholm, Sweden: the lifeless body of a young woman is discovered on an abandoned boat. Later, a man is found hanging alone in his apartment. Should the deaths be treated as suicide or murder? Only four people know the answer. And one man wants them dead. Can Detective Inspector Joona Linna keep them alive long enough to find out the truth? I didn’t know what to expect when I started, as it’s been a while since I’d read Kepler! I have to be honest though, I found the book a bit slow to start! I like to be gripped within the first few chapters, and although I wasn’t totally enthralled by the beginning, I still wanted to keep reading to see how the events would unfold! Joona Linna is still cool and charismatic, with little to faze him, and he’s still quite a likeable character. The supporting characters are fairly well written and support his character easily! The plot of the book takes a while to come through, but essentially is is about smuggling weapons and the race to silence the people who know about the deal! There are some adrenalin filled scenes and chases throughout the book, which do well to ramp up the tension as you find yourself willing the detectives (or whoever is in the scene) on in their efforts. I can’t say much more without discussing the actual events in the book, and I am not prone to big spoilers so I won’t mention them! 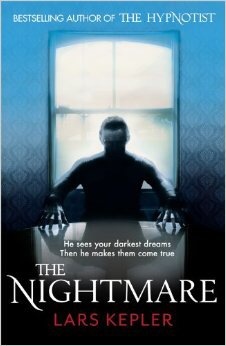 What it will say about The Nightmare is that it is a tense, edgy thriller with a good plot and fleshed out characters. I really enjoyed it, and look forward to reading the next two books; The Fire witness and The Sandman! 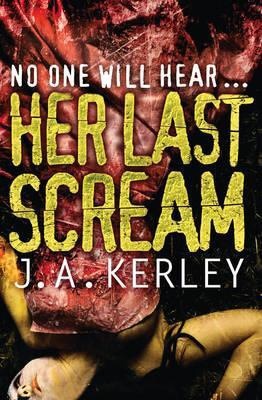 “A serial-killer targets the country’s most vulnerable women in this new thriller featuring Detective Carson Ryder. Across the US, a secret network of crisis centres permanently relocates women in serious danger from domestic abuse. But now someone is killing them before they reach their destinations. Detectives Carson Ryder and Harry Nautilus are having trouble gaining the trust of the volunteers who run the scheme. The only way in is for an undercover police officer to pose as a threatened woman, making herself a target and drawing the killer out. 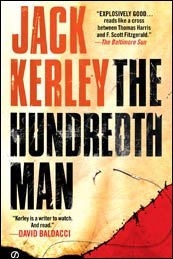 This is book 8 in the Carson Ryder series from Jack Kerley, and it doesn’t disappoint! 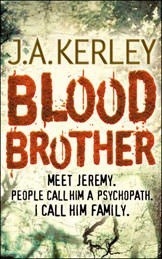 I’ve already mentioned Kerley in an earlier post! I don’t like going into detail as I don’t like spoilers, but I can honestly say that I found myself flying through the book trying to figure out who the killer was, and when the time came, I wasn’t really expecting it! 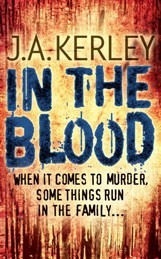 Kerley has a way of ramping up the tension and then flying through the climax in the last few chapters. With other authors, this annoys me but with him, not so much! 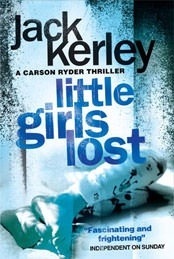 If you’ve never read any of Kerley’s books, I would highly recommend them! I find they really hook me after only a few pages! 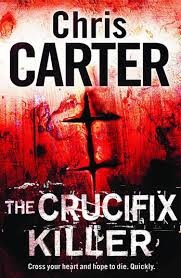 I had a book called The Crucifix Killer by Chris Carter on my Amazon Wish List for a while so when I popped into Easons for a look recently I was surprised to see it there as I hadn’t expected it! Even better, it was in a buy one get one free deal! 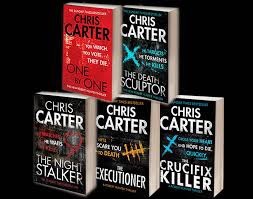 So I managed to get four of Chris Carter’s books at a really decent price! I find that I get wrapped up in authors and decide I have to read as many of their books as possible in order! I’m now onto The Executioner and so far so good! Will definitely be reading all of Chris Carter’s books as soon as possible! Anybody else doing this challenge?! 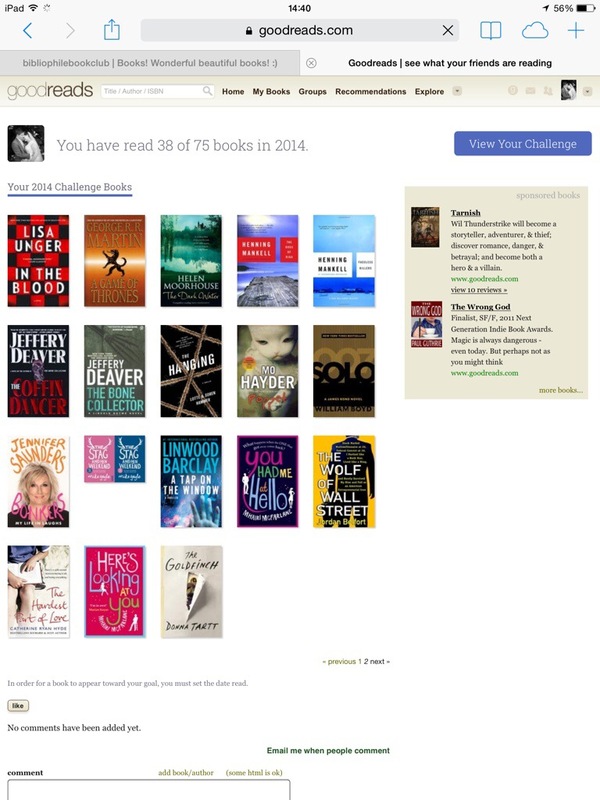 I started out with 100 books as my goal for the year, but after a few big reads, I figured I’d lessen it to 75! 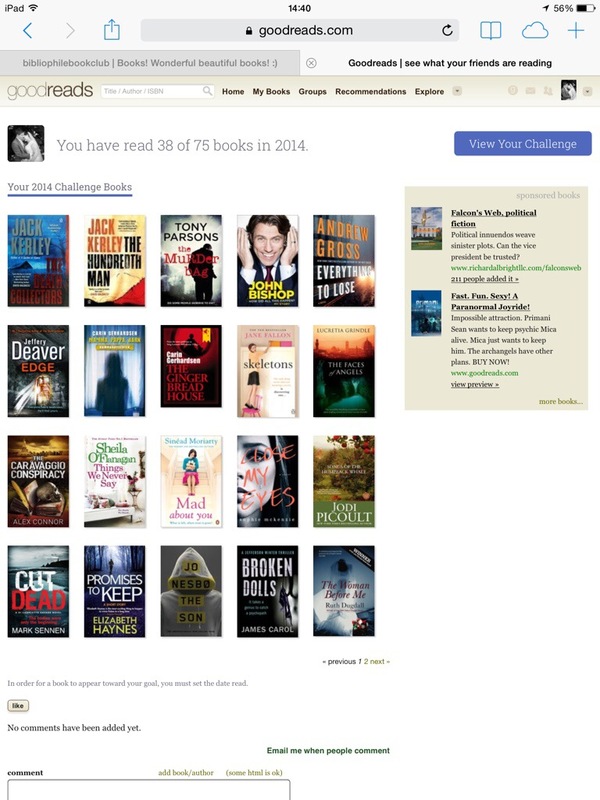 Author bibliophilebookclubPosted on August 1, 2014 August 1, 2014 Categories BooksTags challenge, goodreads, readingLeave a comment on Goodreads Reading Challenge 2014!!! 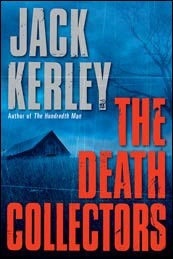 Jack Kerley is a name i saw mentioned on goodreads so I figured I’d give his books a shot! The usual premise of a main detective character and a decent plot line with some gruesome murders thrown in will always capture my attention! So far, I have bought the first 7 books in the Carson Ryder detective series, and I’m currently reading book 3 “The Broken Souls” (UK Title). I find myself finishing one and immediately moving onto the next, which for me, means I’m pretty much hooked! If you like a fairly decent whodunnit with a few plot twists along the way, then these books are for you! Also, they are easy to read even with a lot of detail!!! So I’ve had this book on my kindle for months, I kept saying I’d read it but I always had something else on the go. I decided last week I may as well read it, and what a mistake that was. I hadn’t read many reviews on it, I try to avoid spoilers, but I had seen a few on goodreads saying it was ok, but not great so I figured it couldn’t hurt to try! I’ve read a couple of her books before, and they were fine. Fine, not great, not terrible. Easy reads I suppose, and I thought Songs would be the same. 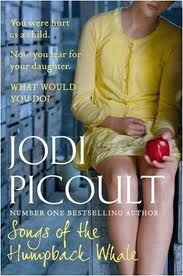 As with many of Picoult’s books, it’s written from different characters perspectives in alternating characters. Usually I don’t have a problem with these types of books, but this one had no real timeline, no fluidity and switched locations regularly. I found the characters very hard to engage with. Jane (the wife) was really annoying, to put it mildly! Her daughter, Rebecca, was typical of teenage characters, and the husband, Oliver, came across as an arrogant, self absorbed male figure. I really disliked the plot, I won’t go into detail as it would bore me AGAIN to even think about it! Basic breakdown; childhood abuse, cycle continues, cross country fleeing and the inevitable (predictable) ending! Begrudgingly, I gave this 1 star on Goodreads, purely because I hate to read a book and not star it after. I have 53 books in my to-read pile, as I mentioned in my previous post, and I wish I hadn’t wasted reading time on this book! That being said, I don’t even know where to start with choosing the next book, but no doubt I’ll find something… I always do! My to-read pile is ever growing… How many are in yours?? I’ve just done an inventory of how many books are in my to-read pile, and it’s not pretty! Well it is, obviously because it’s books but there is lot in the queue! I always have a few books waiting to be read, which is fair enough, but coupled with my kindle, I have a grand total of 53, yes, FIFTY THREE(!!!!!) books in line! Twelve of those we’re purchased yesterday alone! 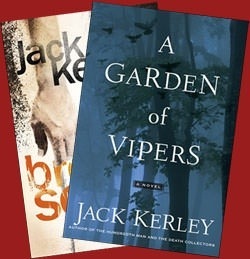 Author bibliophilebookclubPosted on May 31, 2014 May 31, 2014 Categories BooksTags books, to readLeave a comment on My to-read pile is ever growing… How many are in yours? ?